3000 мА⋅ч литий-ион., Quick Charge 3.0, время разговора в сети 3G (сведения производителя): 27 час., время ожидания в сети 3G (сведения производителя): 456 час. Успешное возвращение! После того, как прошлогодняя модель One M9 не оправдала возложенных на неё ожиданий, компания HTC существенно переработала свой флагманский смартфон. Сегодня она предлагает потребителю устройство настоящего премиум-класса с камерой достойного уровня. The HTC 10 is a fantastic phone that has stood the test of time very well and isn’t missing a whole lot even when compared to current generation flagships. It certainly deserves to be in the pockets of more people, especially of those who appreciate the classic HTC metal construction and design. Considering what we’ve seen so far from HTC this year and from rumors surrounding the upcoming flagship, the HTC 10 could be the end of era, so you might want to get your hands on one while you still can. The HTC 10 was released in May 2016, after its announcement the month before. As GSM Arena has confirmed, it has a 5.2-inch screen with a pixel resolution of 1440 x 2560 pixels. It runs out of the box on Android v6.0.1 Marshmallow but it is upgradable to 7.0 Nougat. The device runs on the Qualcomm Snapdragon 820 processor, 4GB of RAM and has a microSD slot for expandable storage for up to 256GB. Its rear and front cameras are 12 megapixels and 5 megapixels respectively. This is the best smartphone the company has built on its own, hands down. Despite kinks that make it stumble along the way, the 10 outperforms its predecessors and looks good doing it. The problem is that few among the masses would have been able to notice. Offering the phone unlocked directly to consumers is great, and should always be an option, but when the price is as high as an iPhone or Galaxy S7, people need a reason to be excited to justify rolling the dice. This is the handset HTC needed to make. It does everything the other big players do and even surpasses them in some regards; battery performance, for instance. Personally, I do prefer the LG G5 — but I REALLY do love that phone. Still, for those committed to the HTC brand, the HTC 10 is a big turn out for the books. There are some negatives though: the Wi-Fi signal isn't especially good; the display isn't the best; and the battery life isn't exceptional. None of these points are critical failings alone, but might be distracting when viewed in the context of rivals. Having lived with the HTC 10, it's proved its long-term appeal. It has been updated, it's remained fast and it still offers a great experience. That metal bodywork also ages well, carrying scars with dignity, rather than looking tatty. In light of everything, the HTC 10 feels like it shows a lot of attention to detail and care that seems to be absent in a lot of devices that I’ve had to review in the past few years. There are definitely sore spots like the display and WiFi, but on the whole the great camera, audio, design, and software experience come together to make a great phone that has really aged quite well over the past few months. There’s been a lot of discussion about how the price is too much, but realistically it looks like the price is closer to 600 USD due to frequent discounts. Considering the direct competition in the price range, on the basis of the device itself I would argue that the price is about in line with expectation. Even now, with the iPhone 7 and Note7 available my experiences with the HTC 10 lead me to believe that it’s well worth buying still if you’re looking for a high-end Android device that can be used with one hand. HTC 10 has a great spec sheet. But it has few cons as highlighted above which weakens it case a bit. Also it doesn't have any iconic innovations like a dual camera or an edge screen. With a price of above Rs 55,000, the HTC 10 also seems a bit overpriced but with new competitors coming into the market, there could be a revision in its price. So it is advisable to wait it out. You’ve got to hand it to HTC, though – this is a confident return to form for the company. If you can find it for a good monthly price, then you won’t be in any way disappointed with the HTC 10: it’s a great handset, and jumps straight into our league table of the finest smartphones. But, given the strength and popularity of the opposition, HTC may begin to wish it had tried that bit harder to win the all-important price war. 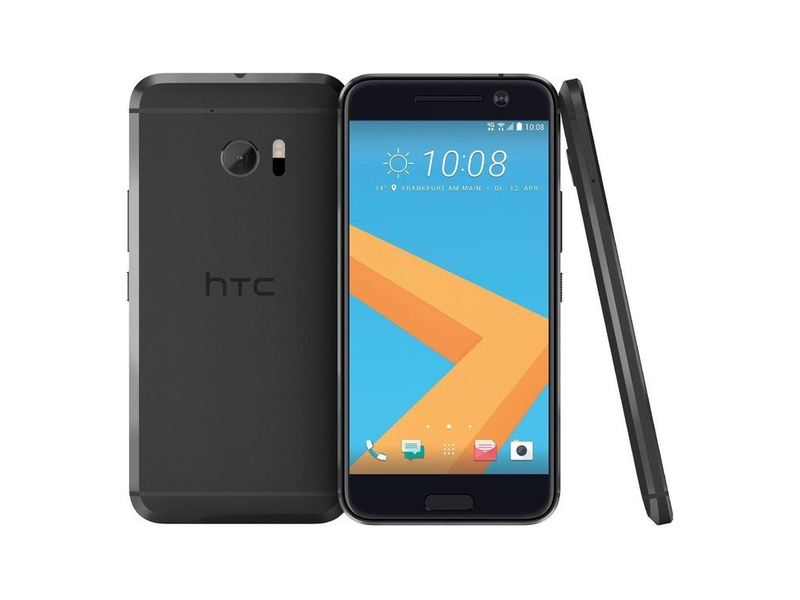 However, there’s just one bad thing about it - Price, the HTC 10 is now priced at RM2799, up RM100 from its original price tag, it makes it a less attractive purchase considering that you could purchase the Galaxy S7 for around the same price, or go for lower priced alternatives like the OnePlus 3 and Xiaomi Mi 5 which also features the similar set of performance hardware. If you are looking for a smartphone with a decent user experience, great audio playback quality and premium design, look no further from the HTC 10. 80% Is it a perfect 10? The HTC 10 is visually unique, with a lovely display and very good audio. It also uses top-end parts, and has a decent camera and an equally decent battery life. Finally, it caters to folks who are of a younger, energetic crowd. While it has its own UI features, it does not interfere with the stock Android experience. 80% Full metal jacket, but is it enough? All other specifications, including the 5.2-inch Quad-HD display and Snapdragon 820 chipset are in line with the current crop of flagship devices, making the HTC 10 a possible mobile photography alternative to devices like the Samsung Galaxy S7 or LG G5. Read the full review to find out how it performed in our test. The HTC 10 gets a proper flagship price of Rs. 52,990 which puts it right up there with the Samsung Galaxy S7 (Review) and the LG G5 (Review). With such a high price, it's not unreasonable to expect perfection and the HTC 10 does deliver that on some counts, but not all. That then begs the question, does it make sense spending this kind of money for such a device when you could get a similar experience at nearly half the price? The OnePlus 3 (Review) has proven to be a worthy low-cost flagship this year, offering premium level performance at a price most can afford. We sincerely hope the South Korean and Taiwanese brigade re-think their next flagship offerings. This has been a really fun review for me. Phones are not something we typically review and my only real experience seeing new phone technology is either at CES or if I happen to pop in a store at the mall. HTC still has a very large user-base, especially with the popularity of their older iconic models. Lately their phones have left a lot to be desired, but they wanted to change that with the HTC 10, and I really think they did that. The HTC 10 is the best flagship that HTC has created in a long time. It's on par, and sometimes even better than its competitors, but that may not be enough. The battery life isn't great, and though the camera is good, it's not always dependable. It's the best phone for audiophiles, though. Were this any other year, we'd have an easy time calling this one and giving it to Samsung. But HTC is back, and the 10 is rock-solid. This makes the question of “which?” a rather personal affair. We tend to like the way the HTC 10 handles better, but once you slap on a case, it quickly turns into a win for the slimmer S7 edge. With the displays, however, the S7 edge has the clear... well, edge. While the HTC 10 isn't terrible in this regard, its rival is brighter and better suited for the summer. Considering that the HTC 10 still produces pretty good photos, I’d class the smartphone as one of the best options of the year so far. The price might be a bit hard to swallow for those who buy unlocked devices – it’s $50 more expensive than the outstanding Galaxy S7 – but overall I’m impressed with the HTC 10 and the way HTC has rebounded from a tough couple of years. Everyone was rightly feeling very down on HTC's prospects last year. The M9 was a sales disaster and the company has been hemorrhaging money. The CEO even had to step down following the downturn. The company's 2016 flagship had to be great to save HTC from collapse. That could mean a buyout or a return to making anonymous white-label electronics -- either would have meant the end of HTC as a top-tier OEM. Is the HTC 10 the phone they needed to make? I think it very well may be. The display is more vibrant, with brighter colors, and of course, a higher resolution. The design is much sleeker, and the software experience has been streamlined even further. The fingerprint scanner is a nice addition and works remarkably well, and HTC finally got things right on the camera side of things. Unless dual-front facing speakers are an absolute must have, the HTC 10 is definitely the better the choice between the two, and even then, the new speaker arrangement on the HTC 10 provides excellent audio. The HTC 10, along with the rest of the fleet of devices launched today, marks the ailing company's biggest push in a long time. According to Siddiqui, HTC's new product portfolio is just what the doctor ordered, and many of the products are designed for India based on feedback from consumers and market trends. He also added that most of the products announced will be on store shelves by June 13 or 14. In order to generate awareness, HTC plans on conducting a widespread marketing campaign which includes promoting its devices in print, online, and across social media. HTC won't be going exclusive with any online retail partner, to make the phones more accessible, so you should easily be able to find them offline. The HTC 10 is the smartphone that the Taiwanese company should’ve released last year, instead of the HTC One M9. It’s very good and easily a match for all the other competing flagship phones, but it doesn’t surpass any of them which is problematic for a company in deep financial trouble. You know the drill with my reviews by now – I scream through all a device’s highlights and then deliver the killer blow of all the gotchas, the showstoppers. And it’s here I run into a writing problem – the HTC 10 doesn’t really have any gotchas. You can point to work needed in the camera interface or to the lack of waterproofing but that’s being pretty picky. The HTC 10 is available for the premium monthly installment rate with the various network carriers, but can also be picked up unlocked, priced at $699. On the other hand, the Nexus 6P is currently available for the far more affordable $399, which is a great prospect, given that you are able to get a solid high-end flagship for a lower price, while providing a lot of the same features. The HTC 10 is a hit. It took the best parts of its predecessors and refined them into a single package that will have the other competitors sweating. 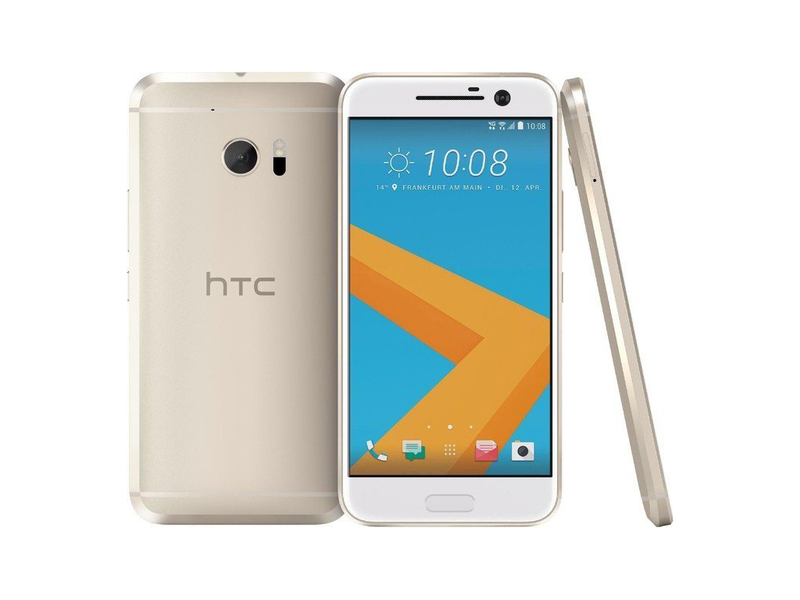 The HTC 10 is a compelling device with lots of processing power, beautifully designed and sturdy hardware, great camera performance, fast and accurate fingerprint scanner, and excellent audio quality both via the speakers and the headphone jack. The HTC 10 is the most complete package HTC has put out in years. It has a premium all-metal design, top-end specs, a great camera, and the best version of Android we’ve ever seen. If you can’t tell, we’re seriously impressed with it. We’ve given this 4.5 stars (our site doesn’t currently allow ½ stars, so you’ll just have to imagine it) because it’s almost perfect. In many ways, the HTC 10 is a throwback to the old days of Android devices. There’s nothing too flashy going on here. No curved displays or slide-out batteries. It’s just a phone that improves greatly on last year’s model. Some people find that to be pretty boring. What some people consider “boring ” I consider refreshingly simple. It’s more important to perfectly execute the little things than to reinvent the wheel every year. Honestly, with these two you can't go wrong. Sure, we prefer the no-nonsense approach that HTC took with the Sense interface of the 10, and that does mean even better performance, but we can't fault anybody for their preferences. Preferences that might dictate that more features are better, and there are some well-executed ones you might enjoy with the Galaxy S7—such as one-handed mode and MultiWindow. The HTC 10 is a hit. It took the best parts of its previous flagship devices and refined them into a single package that will have the other competitors sweating. 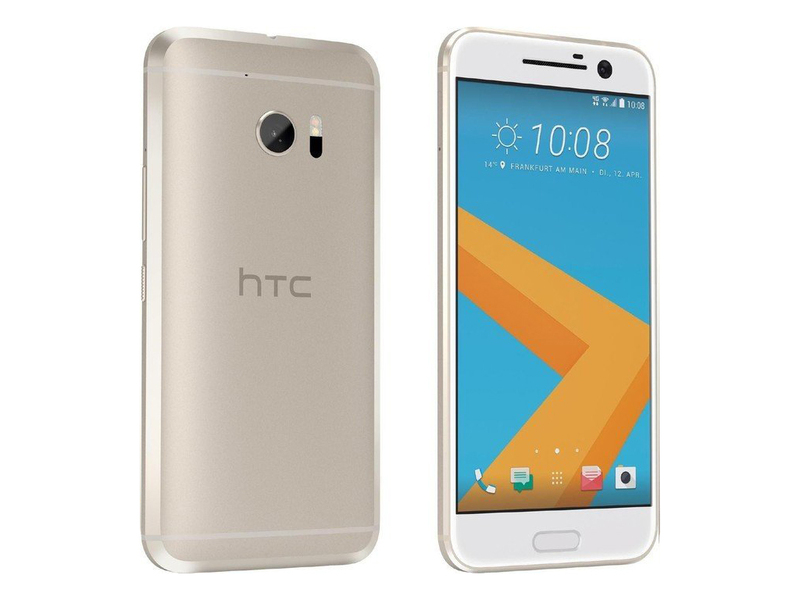 The HTC 10 is a compelling device with lots of processing power, beautifully designed and sturdy hardware, great camera performance, fast and accurate fingerprint scanner, and excellent audio quality both via the speakers and the headphone jack. There’s no doubt that HTC have struggled in previous years but this struggle may have actually come at the perfect time for the company; rather than introduce new phones that repeat old mistakes, the HTC 10 offers the company the opportunity to start again from the ground up and for the most part, they’ve certainly done this with the battery life. Outside of the lack of carrier support, we should also point out that the launch of the 10 seems a bit slow and confusing, similarly to LG’s launch of the G5. HTC announced the 10 on April 12 and said it would be out at some point in May. They won’t tell us a specific date, but now Verizon is announcing to the world that its customers will be the first to get it. So not only are we missing AT&T in this equation, Verizon seems to have worked out some sort of exclusive over T-Mobile and Sprint to deliver the phone first. Does that mean weeks before those other two or days? We don’t know. What we do know is that the 10 isn’t off to a great start in terms of pricing and availability. If we had to pick a Best Smartphone of 2016 right now, we'd probably call it a draw between it and the Galaxy S7 (which also includes the larger S7 edge). As for which phone I would rather have in my pocket, though, I'm going with the HTC 10. It's premium from head to toe – with a genuine respect for customer taste, and a bullheaded determination to make refined quality win out over gimmicks – making it an absolute pleasure to use. Despite bleeding money, HTC continues to refuse to play that game, and reminds us that it's a company that has its own style, its own way of doing things. Some may be quick to argue that this is proof of inability just as much as anything else, but we disagree. No matter how much pessimism we try to infuse into our thinking, the HTC 10 strikes us as a device built to specification. HTC wanted it to be that way. After using the HTC 10 for three weeks, see my full review, it's become my daily driver and I'm enjoying it more every day as it proves itself worthy. I also awarded it the number two spot in my best 10 smartphones of 2016 so far and it's very close to taking the number one spot. For the moment, though, the HTC 10 stands alone: a handsome phone, and a well-constructed one, with no shortage of speed and a camera that, while flawed, has legitimate potential. Problem is, that's not an unfamiliar position for the company to find itself in, and the smartphone segment is even more aggressive than in previous years, not to mention jam-packed with a bounty of highly capable alternatives. HTC has nailed some things with an interesting evolution, providing a lovely casing, attention to audio, and a camera that can perform but doesn’t always nail it as well as a design that doesn’t quite feel like an HTC always has. It’s perfect for an HTC owner to upgrade to, without doubt, and One M8 and M9 owners will feel like they’re getting a solid update, for sure, though given how good the competition is this year, they may also want to look around, even just a little. By ditching gimmicks and fine tuning the formula, HTC has hit back in style after a disappointing 2015. It’s not the best phone of the year, but it’s not far off. Yet, it’s the phone I would want to use. That might sound strange, but hear me out. From the lovely screen to the speedy performance to the fantastic representation of Android, the HTC 10 ticks all the boxes. Aside from the removal of the IR blaster and front stereo speakers, the HTC 10 is a better phone all round. It gets some significant upgrades and is arguably the phone HTC should have made last year. We've yet to complete our full review of the HTC 10 but even at this early stage, there's no doubt that the 10 is better than the One M9. Is it the best Android phone though? That's a whole different question: there's some tough competition for the HTC 10 right now. Simply put, this is the best phone HTC has made in years. It's fantastic, though not exactly perfect. While its build quality is tremendous and there's plenty of horsepower under the hood, HTC still isn't quite as good as Samsung at cameras, while the battery life here is hit-or-miss. The HTC 10 is easily one of the more attractive, mid-sized smartphones currently available. Considering their form factor and internal hardware similarities, the most obvious comparison to make is between the Samsung Galaxy S7 and the HTC 10. Though their performance characteristics were somewhat different, overall the two devices traded victories in our tests and offered class-leading performance. Yes, this flagship is no box of tricks. Instead, it excels in the art of the familiar, with a pristine screen, ultra-powerful processor, a faultless take on Android and an elegant yet sturdy design. This stuff may be a marketer’s nightmare, but it’s really important when you’re stuck with a handset for two years or more. Especially now HTC’s flagship camera is broadly up to scratch again. If this phone cost what a Nexus 6P does, I would recommend it to everyone. I could then clearly say that this phone’s benefits offset the always-up-to-date Android software you get with the Nexus phone. But this phone doesn’t cost what the Nexus 6P does. It costs a whopping $200 more. HTC’s got a killer $500 phone here, and they’re shooting themselves in the foot by asking $700 for it. 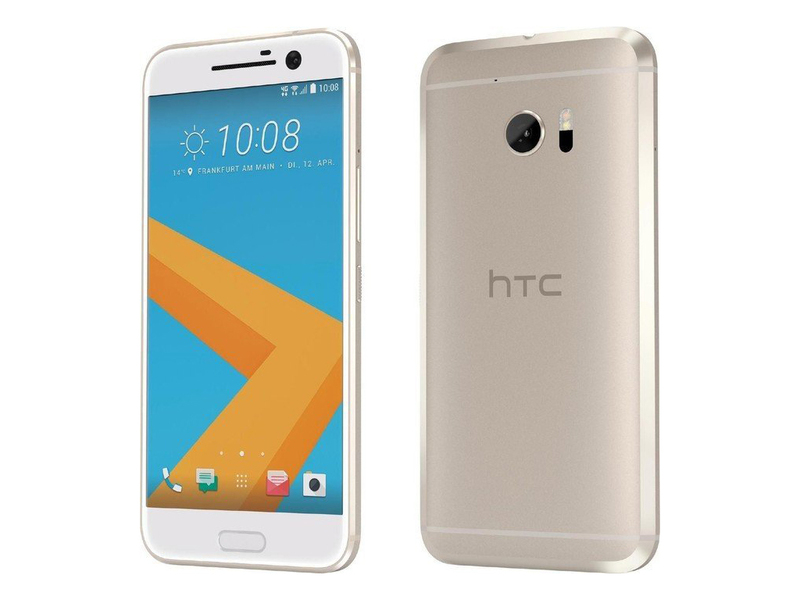 Compared to the iPhone 6s and the Galaxy S7, though, the HTC 10 as-is falls short when it comes to everyday convenience. Given time and ideal lighting conditions, and the images it produces are excellent; similarly, if you're willing to deal with RAW post-processing, there's even more detail to be had than settling for the in-camera JPEG conversion. If you want a smartphone for the future, then don’t get the HTC 10. If you want a smartphone for right now, there are few better alternatives. Yes, this flagship is no box of tricks. Instead, it excels in the art of the familiar, with a pristine screen, ultra-powerful processor, a faultless take on Android and an elegant yet sturdy design. This stuff may be a marketer’s nightmare, but it’s really important when you’re stuck with a handset for two years or more. Especially now HTC’s flagship camera is broadly up to scratch again. The HTC 10 is a really good phone, even if it's not a perfect one. I especially love the new personalized audio profiles, while solid performance and an improved rear camera add to the device's appeal. However, HTC 10's camera struggles in low light, and we wish the display were brighter. As for this handset's design, it's classy but unexciting. There you have it for comprehensive look at the HTC 10! While retaining some of what HTC is loved for, like the all metal design, the 10 shifts its focus on what matters most, audio and camera, to great effect, and it really feels like this phone has been a long time coming. The sound experience is second to none, proving that BoomSound is not only back, but here to stay. I’m glad I had the opportunity to review the HTC 10. We’re always extremely critical of the products we review, and our experience with HTC phones over the last two years has been disappointing. The mojo that was started with devices like the M7 was lost in a sea of iteration, and this is not a market for another “me too” product. 2016 is a tough year for companies like HTC, with bold contenders from Samsung and LG, and where HTC couldn’t continue playing the game of compromise. The company desperately needed to launch something great, and I personally think it did. 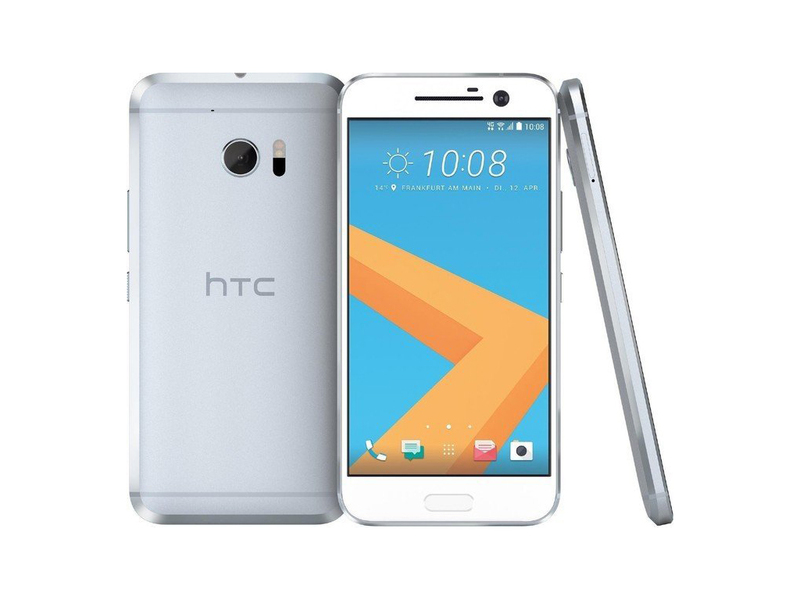 The HTC 10 is sleek and sturdy, with a great design crafted from premium materials. The phone is blazing fast, with power that tops every other phone on the market according to benchmark tests. And in real-world use, class-leading touch sensitivity further enhances the UX by offering the smoothest Android experience I have ever tested. Now, all that said, as much as I like the HTC 10’s “less is more” approach, I still feel like something’s missing. This isn’t a $500 phone; HTC has priced it at $699. For that kind of money, I expect a little more innovation. I expect waterproofing, or fast wireless charging, or an always-on display, or built-in Twitch game streaming, or side benefits like the Oculus/GearVR partnership for premium Samsung phones. With the One M9, there was very little to show off on your new, expensive phone and that's how I feel about the HTC 10. It doesn't do anything wrong, and if you bought it you'd want for very little throughout your time with it, as it's very capable indeed and has all the excellent design DNA slathered through from HTC. 80% HTC 10 review - the perfect 10? Of course, if you want a phone you can customise down to the nth degree, then the HTC 10 certainly won't disappoint. It definitely has the best version of Android out of all of this year's top-end phones, and its new sticker-based Freestyle Layout gives it a lot more personality than any other smartphone currently available. It's also the best-looking handset out of the 'big three', and the bundled Hi-Res headphones are a great added bonus, too - although it's worth noting that most retailers are still bundling in a pair of B&O H3 headphones with the G5 as well. A funny thing happened while I was testing the new HTC 10 ($699; 32GB): I couldn't stop listening. HTC's latest flagship is the best smartphone for audio I've heard in a long time, although you need to pair it with some really good headphones for the advantages to come through. It's also the first Qualcomm Snapdragon 820-powered unlocked phone available in the US, which makes it the most powerful unlocked phone on the market. When you combine these benefits with a sleek design and attractive software enhancements, you get our new Editor's Choice for unlocked phones. 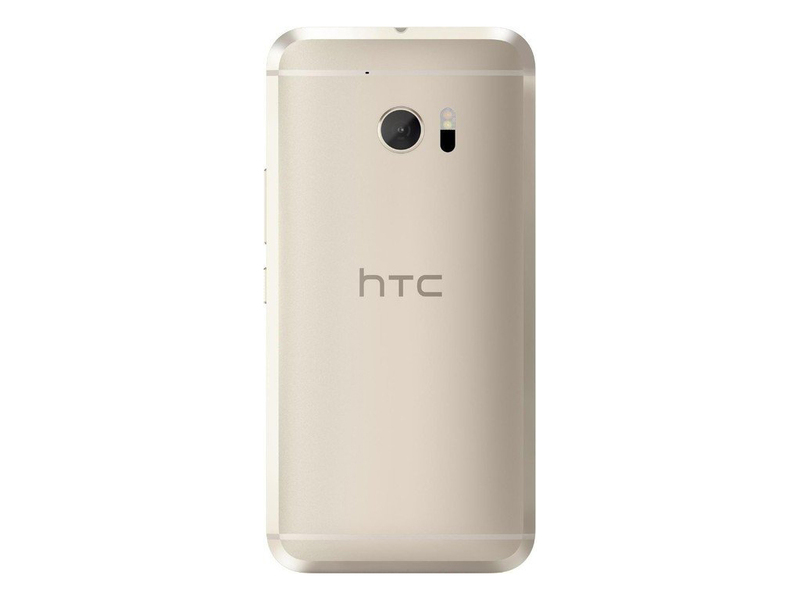 The HTC 10 is now available to pre-order at Carphone Warehouse too where it is available in Topaz Gold exclusively. The retailer will also be stocking Glacial Silver and Carbon Grey. Vodafone prices the HTC 10 at £39 per month (£29.99 upfront cost) and this includes 6GB of data. Customers who pre-order are also being offered £50 cash back. The HTC 10 presents itself as a solid Android contender on first impressions, but does it have enough to rise above the competition in 2016? We'll have to wait until review day to see whether it can score a perfect 10. The HTC 10 loses its predecessors' confusing naming conventions -- no more "One A9" -- and its aping of iPhone design. This new phone is sculpted out of milled aluminum, with a solid and pleasing heft and a curved back with a chamfered angle that makes it easy to hold. Currently, HTC Australia is saying we should be able to expect pricing in the coming weeks, with availability in May. Telstra has already chimed in to say it will be ranging the HTC 10, and we’ll let you know any other telco when we find out. For now, if you were looking at updating phones, you now have one more in the mix, and are totally spoiled for choice. HTC's other obsession was pitch perfect audio - a 24-bit DAC earns it a Hi-Res Audio certification (from the Japan Audio Society), something Sony loves to brag about and LG offers as a $150 add-on for the LG G5. The company even added a premium headset to ensure you have the right hardware to enjoy the DAC. I'm impressed with my initial time with the HTC 10, and I'm looking forward to spending more time with it. It's a 2016 smartphone which seems to tick all the right boxes - good camera, two-day battery life, brilliant software - so let's see if it can deliver on those promises. So schlägt sich das HTC 10 gegen Galaxy S7 & Co.
Wie gut ist das edle Flaggschiff? 97% HTC 10 im Test: HTC, Twelve Points? 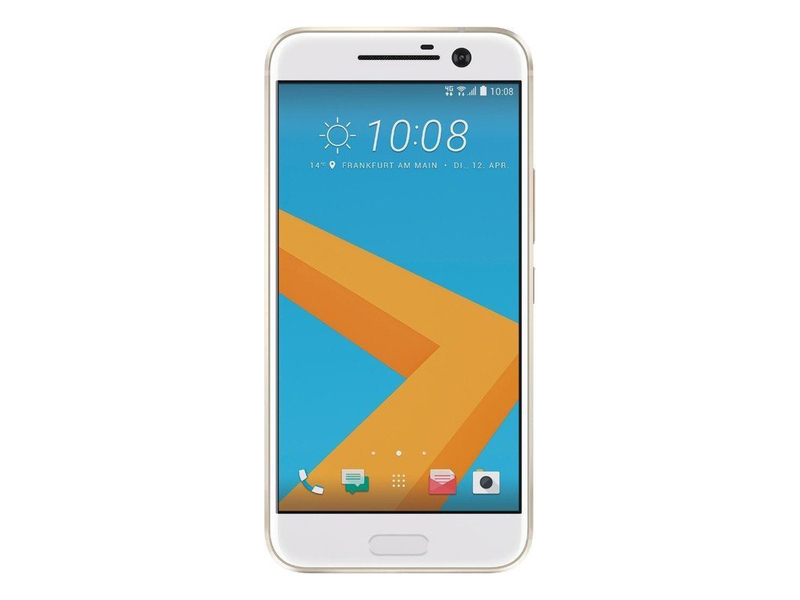 70% Recensione Htc 10, Mix Perfetto O Mancata Occasione? Pół roku z HTC 10 - wersją beta Pixela. Nadal telefon roku? 90% HTC 10 - Riittääkö enää täysi kymppikään?